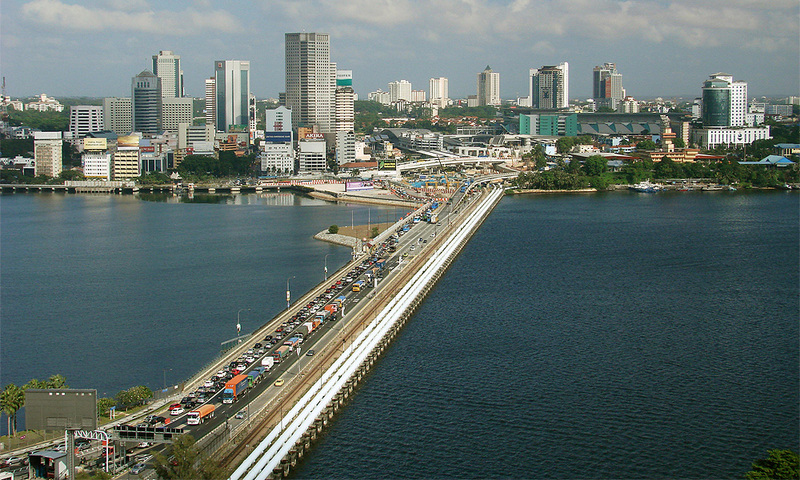 Johor has always been known as a bastion for BN but recent developments in the state have undoubtedly changed this. Following Jorak assemblyperson Shahruddin Salleh’s departure from Umno to join Parti Pribumi Bersatu Malaysia (Bersatu) in October last year, BN, for the very first time, lost its two-thirds majority in the Johor legislative assembly. Citing the time spent thus far with constituents in the state, Amanah deputy president Salahuddin Ayub said he could "feel the warm approach." “I can see their body language, how they approach us nowadays, (it’s) more welcoming. “Based on my experience in politics, I can feel the signs of change this time around,” the Johor Amanah adviser told Malaysiakini in an interview. In the last general election, out of the 56 state seats, BN had won 38 while the then Pakatan Rakyat coalition only managed to win 18 seats. 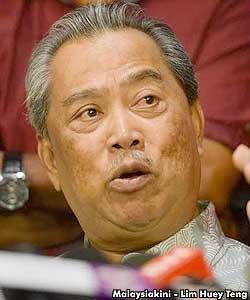 Salahuddin attributed the change to the concept of “only diamond can cut diamond,” citing Pakatan Harapan chairperson Dr Mahathir Mohamad as well as Bersatu president Muhyiddin Yassin (photo), who still wields significant influence in the state. “With Pakatan Harapan in the frame, coupled with the split in Umno, it has made it easier for us to convince Malays on important issues, such as 1MDB and the goods and services tax (GST). “But I concur with (PKR vice-president) Rafizi Ramli that the 1MDB issue is not so effective in rural areas, for the people are more concerned about the GST. People in the villages have experienced how the cost of living has indeed risen,” he said. Salahuddin, who has been focusing his time in Johor for the past one year, is confident of the support Harapan will receive in the forthcoming general election. “I’m confident that we can get more than 50 percent of support as we don’t need such a big majority. To win in Johor, it’s enough for us to get a simple majority for there to be a change in the state,” he said. Unlike in the past, Harapan is now able to penetrate traditional villages and Federal Land Development Authority (Felda) settlements – areas considered as the last bastion for BN, Salahuddin claimed. Citing Tanjung Piai, a place the Amanah leader was born in, Salahuddin described how each house in the area had once somewhat represented the strength of Umno throughout the country. “In the last general election, I could do a head count, for every house in which there were five or six voters, we would not be able to get their votes. “But today, from seven or eight voters in a household, I am confident that we can get the support of four or five people,” he said. “The Johor Malays are cultured, they do not show their opposition, they are very polite, and now I can see how more welcoming they are,” he said. So what has Harapan been doing in Johor to secure the support of voters in the state? With non-Malay voters, Salahuddin is confident of their support, citing the reception received during various fundraising dinners thus far. "With the standing ovation when leaders arrive, I can conclude that we can maintain the support of non-Muslims for Harapan. So we have to attend their programmes and provide Harapan’s offerings for Johoreans." With Malay voters, Salahuddin admitted that a more careful and wise approach needed to be utilised to get near to them. “Even though the turnout may be between 200 to 300 people only, the programmes have been attended by locals. “When we have small programmes like these, those who previously did not turn up are now braver to get themselves involved in such programmes,” he said. Among the offerings, Johor Harapan plans to promise to the people of Johor are free education and affordable housing. Johor Harapan, said Salahuddin, is in the midst of studying ways to increase wages and offering incentives to small and medium enterprises. Pointing to the thousands who cross the Johor-Singapore Causeway daily to work even in 3D (dirty, difficult and dangerous) sectors, he said this was proof that Malaysians were not entirely opposed to taking 3D jobs. 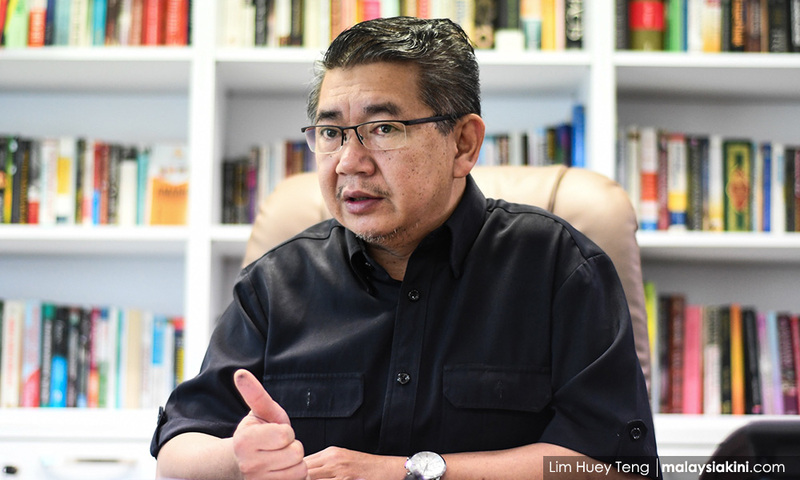 With Harapan looking set to give BN a run for its money, reports have emerged that Salahuddin himself is one of Harapan’s candidates for the coveted menteri besar post. However, with Muhyiddin who once served as menteri besar of Johor in the picture, Salahuddin might have to concede to Muhyiddin leading the state. But Salahuddin claimed that he simply “does not care” about the post, for the only important thing is how Johor Harapan can convince its target group. “Just imagine Salahuddin Ayub becoming a cry baby, every day asking for the post. What kind of qualities am I sharing with Johoreans? “I'm actually very happy. If given the choice, I actually prefer to stay in Kuala Lumpur,” he said. Sharing his vision for Johor, Salahuddin expressed hope that it would be the best example of how a Harapan state administers itself. “The most important thing is how Harapan provides a pool of leaders. There is no single, towering leader. “We have a pool of leaders and we need each other to contribute to our success,” he said.